Metal Buildings ID – We love The Gem State! Metal buildings ID are durable, long-lasting and affordable solutions for your construction needs. These types of buildings can be used in a number of different ways and have a number of different benefits associated with them. If you are considering metal buildings in Idaho, here is some information you should know. Steel buildings in Idaho is an opportunity to protect your cars, trucks, boats, RV’s lawn and garden equipment, livestock and other valuables from the elements. We understand at Garage Buildings that buying a building can be a daunting task when taking into consideration everything that the great state of Idaho can throw at you. From freezing temperatures in the winter, severe heat in the summer, thunderstorms, tornadoes, to hurricanes the demands placed on a structure can be scary. But fortunately Garage Buildings has got you covered. We provide the best tubular steel structures to protect what you need and at a price that will make you happy. Not every metal building is the same. There are many different types of metal buildings in Idaho, including steel buildings Idaho, prefab metal buildings Idaho and building kits. Here are a few of the different types of metal buildings you can select from. There are many advantages to steel buildings and prefab steel buildings ID. Taking the time to learn about the benefits can help you determine if a steel building is right for you. These are just some of the benefits associated with steel buildings. Metal buildings can be used in a number of different ways and for different purposes and applications. Metal builds in Idaho can be used to create a garage, a carport, building an industrial building, create a building on your farm, be used for storage space, be used as a warehouse, or even be used as a church. All, and we mean all, of the buildings we supply at Garage Buildings are made right here in the United States from the best materials on the market. We don’t skimp by buying overseas, sub-quality materials and because of that you can be sure that your steel building is the best of the best. You can rest easy knowing your new carport, garage, shed, workshop, barn, or other steel building will hold up to whatever Mother Nature can throw at it with our super strong 12 or 14 gauge steel. American made, American sold, American customer service. We think this helps bolster this country the way an American company should. There are many ways to use metal buildings ID and many benefits to be using these types of buildings. Are you looking to learn more about metal buildings in Idaho? Let us at Garage Buildings help you! Contact us today to learn more about the different types of metal buildings we have and their pricing. 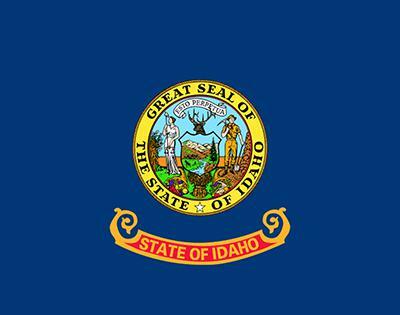 We cover all areas throughout the state of Idaho, including – Boise City, Meridian, Nampa, Idaho Falls, Lewiston, Post Falls, Rexburg, Moscow, Eagle and all parts in between! Get Your Quote in Idaho Today!